Early this August, I spent several days north of Pocatello, on the Ft. Hall Reservation at the Shoshone-Bannock Hotel and Event Center. I was there as a member of the Western Planner Board to attend a unique and memorable planning conference, along with over 150 others, where the theme was “Building Partnerships through Understanding, Cooperation and Consultation.” Like similar regional planning convocations, there were planners from local governments such as cities and counties, state and federal agencies and academia; but unlike these gatherings there were planners from many sovereign nations: the aforementioned Shoshone-Bannock, the Colville, Muckleshoot, Tulalip, Yakima and Quileute Tribes of Washington; various chapters of the Dine (Navajo Nation) from the Four Corners; the Paiute from Utah; Laguna Pueblo in New Mexico; the Coquille from Oregon; the Cheyenne Arapaho; and the San Carlos Apache and the Hualapai Tribes from Arizona. 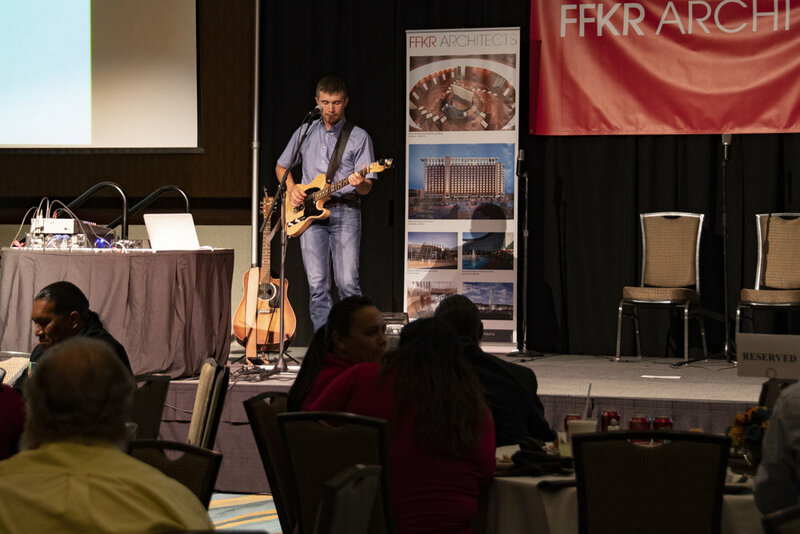 There were the traditional Western Planner trappings such as the annual awards ceremony and barbeque, and the Wyoming versus the World softball game which Wyoming always wins; however, this was not your typical planning conference. It began with a drum group chanting welcome songs, and a flag bearing by the Ft. Hall Veterans Association. 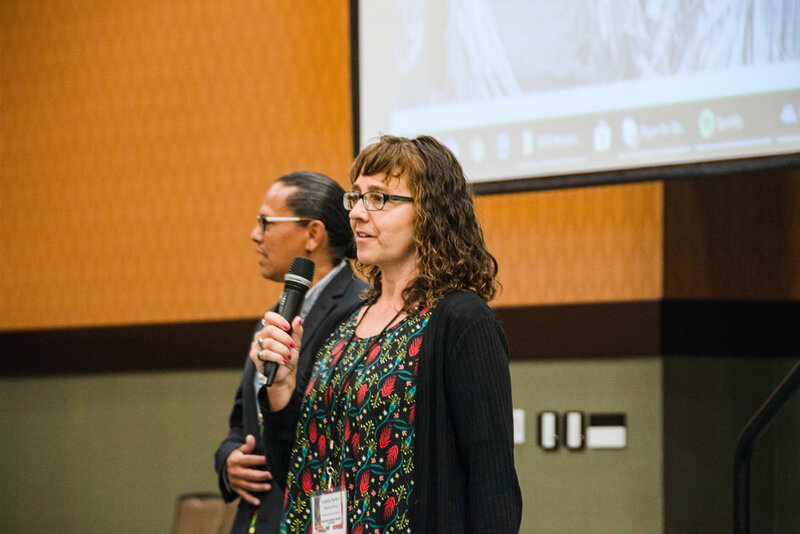 There were welcome remarks from tribal chairman Nathan Hall, followed by opening keynote speakers: Bobbi-Jo Meuleman, Director of the Idaho Department of Commerce; and Tammie Poitra, Deputy Regional Director of BIA Trust Services/Midwest Office. The Monday morning opening session set the stage for the rest of the conference: a panel discussion that emphasized economic and community development and good governance that focused on using comprehensive economic development strategy (CEDS) assessments at Ft. Hall and other reservations. The goal according to Jason Lambert of the Chief Strategy Group is to effectively and equitably increase and circulate and retain tribal revenues. The conference offered more than 25 panels and presentations over two days, typically four to five concurrently. While some of the topics were a bit different from those we encounter, the emphasis was on using planning to solve difficult issues. Panel subjects included: Planning in Indian Country and partnering for success; resilient rural economies; tribal safety plans; federal Indian law; best practices for planning and collaborating with tribes; tribal tourism; innovative urban design tools; funding tribal infrastructure priorities and green infrastructure; tribal transportation planning; interpreting cultural heritage through design; housing solutions; consultation with federal laboratories; integrating data collection sources and techniques; wilderness road building controversies; the census; and county resource management planning. There was also a bus tour of a planned unit development and the tribal buffalo enterprise on Tuesday afternoon. I was fortunate to attend several panels. One focused on how the Quileute Tribe collaborated to move its elementary school to higher ground out of the Tsunami zone on the Olympic Peninsula. Susan Devine of Parametrix, and tribal planner Larry Burtness explained how they used a medicine wheel planning framework (physical, emotional, spiritual and mental), and grant writing expertise along with community outreach to raise the necessary awards, funds, and services from a constellation of federal agencies. I recommend taking a look at Move to Higher Ground at https://mthg.org/ to get a sense of this effort and how planning is making a de facto difference for the tribe. 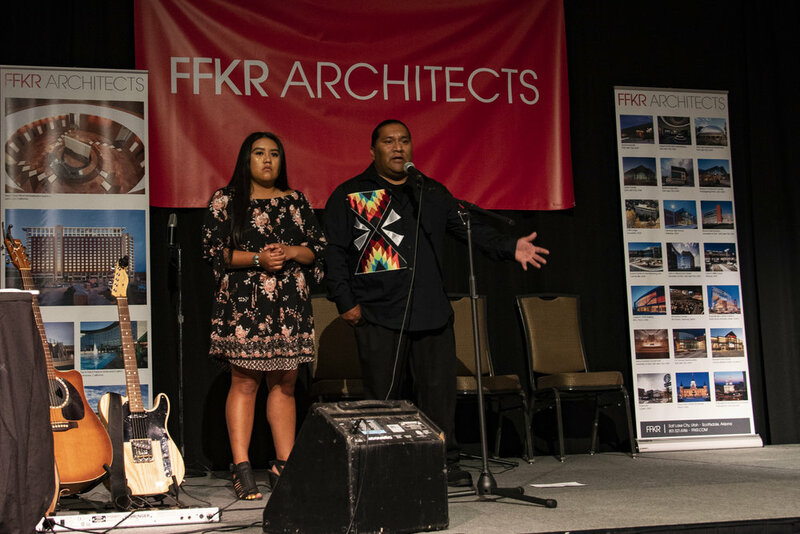 Another panel featured speakers from conference sponsor FFKR Architects and the Shoshone-Bannock planning staff. 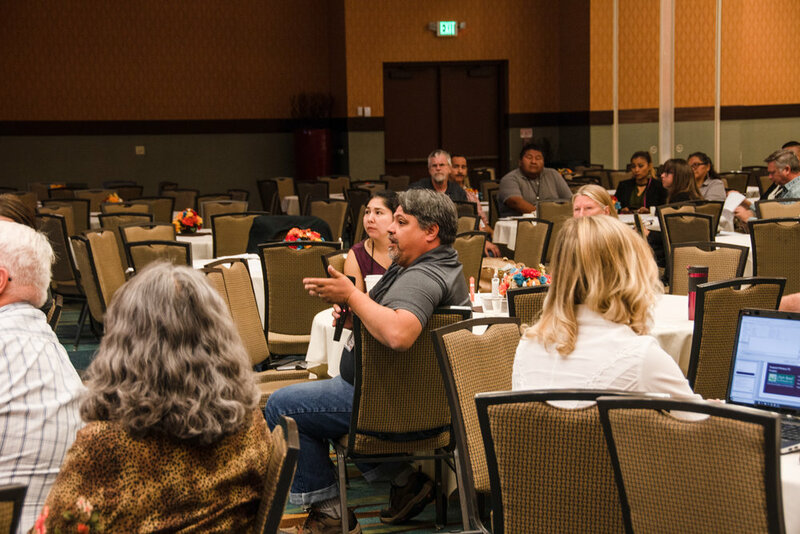 Using a case study of the I-15 Exit 80 area, they provided insights about understanding the needs and wants of the tribe while not losing sight of the importance of tribal culture and history during the planning process. FFKR principal David Giles related that data collection and analysis is the most difficult stage of the process, along with building consensus among factions. 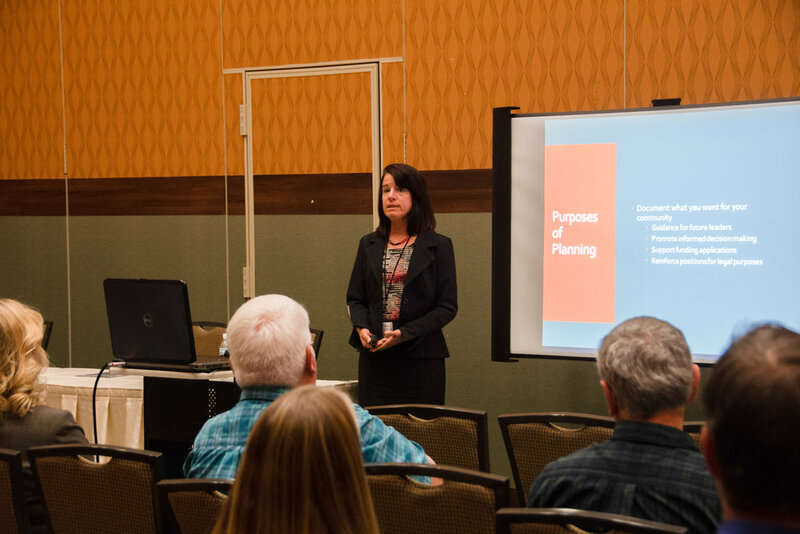 Sharon Hausam led a session about village revitalization at Laguna Pueblo in New Mexico. She described the housing strategic plan for each of the six villages where providing housing opportunities and solutions has been put into practice to reclaim traditional communal life. Assessments, land assignment mapping, record-keeping, financing, design standards, enforcement, and construction challenges are interwoven factors that have been considered. The Tuesday plenary lunch offered delicious buffalo stew while we also digested the remarks of Kevin Klingbell of Big Water Consulting who spoke about leveraging resources to promote self-sufficiency. He stressed that planners can be the bridge builders who transcend boundaries and history to collect data to make better decisions for the future. Following lunch, I had the pleasure to join colleagues Stephanie Cook and Brad Bugger from Idaho National Laboratory in our panel “Tribal and Error.” Our message was that federal agencies and entities need to go beyond the consultation required by law, and cultivate relationships that lead to collaboration in the form of partnerships, agreements-in-principle, community commitment plans, economic development, education, cultural resources preservation, emergency and environmental planning, and self-sufficiency. This is particularly relevant since many federal lands and facilities have tribal neighbors. The conference was much more than a collection of panels. Some of the most memorable moments happened in the evening. Makita Wilbur presented her photographic essay “Project 562” relating contemporary narratives from Indian Country. Her captivating stories are planned with the goal “To Change the Way We See Native America.” I believe that she demonstrated how she is meeting this goal on Monday evening as part of the dinner program which also featured tribal singer Conrad Benally and country musician Brody Fitch. 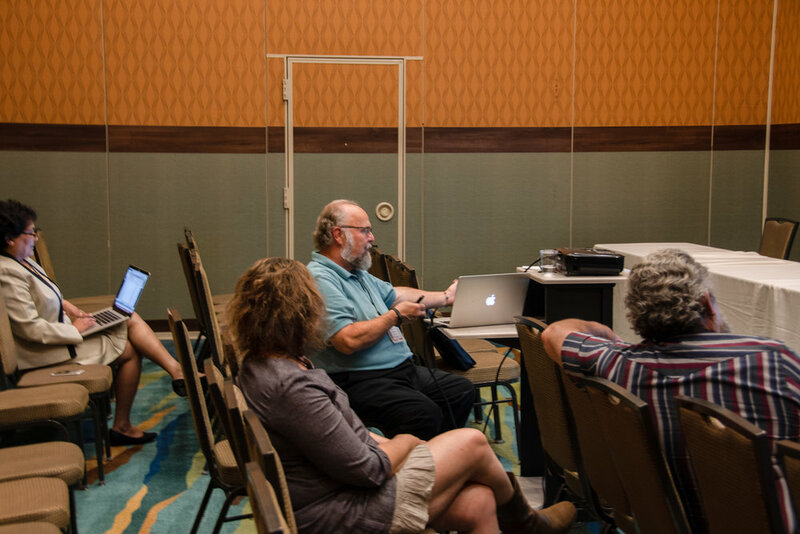 Before the conference concluded on Wednesday, Shelly Wade of Agnew::Beck Consulting energetically moderated an interactive group sharing and planning discussion. The morning’s outcome was a list of suggestions for further actions, including ways that we can all support the Tribal and Indigenous Planners Interest Group, and work together to reestablish the Tribal Planning Division of the American Planning Association. Dan Pava, FAICP is president-elect of Western Planning Resources. He has practiced environmental planning primarily in New Mexico, Oregon and California over his 35 year career. Prior to serving on the Sustainable Santa Fe Commission, Pava was on the Planning Commission and the Santa Fe Railyard Development Review Committee.